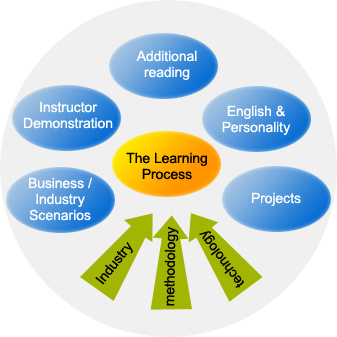 The Learning Programs have been designed by the Content And Technical (CAT) adaptation team of ITG based at Mumbai. ITG EduTech is offering 2 distinct learning programs in China. It is based on the IT industry needs. The course conduct methodology is based on the research done specially for the requirements of the Chinese IT industry. 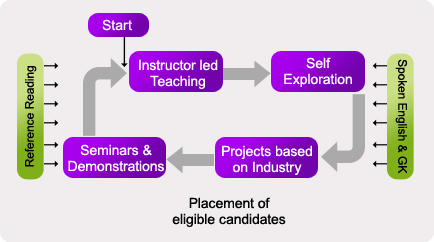 The ITG EduTech is being implemented at ITG Finishing Schools Projects and ITG Training Franchise Associates throughout China. ITG is conducting the Twinning model for the China and Indian Universities. ITG has empanelled Universities in India, who has agreed to offer their graduate degree curriculum through ITG EduTech to Chinese universities. As per the twinning model the Indian university curriculum would be conducted by ITG EduTech in China. The China based students would have the options to complete part program in China and remaining part at the campus of the Indian university empanelled with ITG EduTech. The ITG University Cooperation Program is being implemented at Chinese universities under the UCP. Interested universities can send their profile for empanelment with the ITG-UCP.